April 3, 2015 – The highest ranking U.S. military astronaut shared lessons from his first trip to space with USAF Academy Prep School students on March 30. 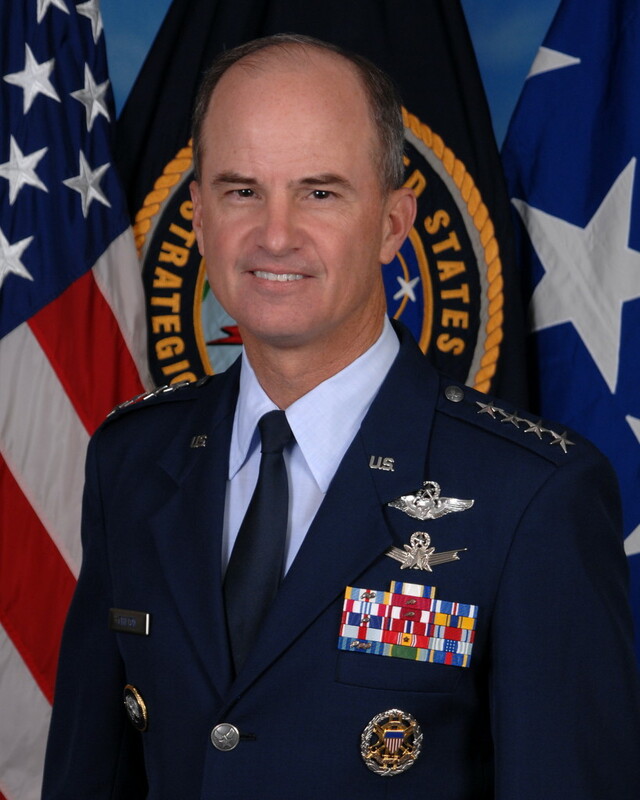 Retired Gen. Kevin Chilton, a distinguished Academy graduate and former commander of U.S. Strategic Command, spent 11 years of his military career as an astronaut. He said leadership and problem solving allowed him and his crew members to complete mission 49 of the space shuttle Endeavour in 1992. Chilton served as a pilot until he applied to work for NASA. His first space opportunity came when he was selected as one of seven astronauts to board Endeavour for its maiden flight. “It was the most exciting time of my life,” he said. The crew was tasked to reroute a communication satellite stuck in a 300-mile orbit around the Earth. They needed to stop the satellite from spinning off course and attach a new motor to boost it to its correct orbit. On launch day, Chilton prepared for the ride of his life. Endeavour lifted off May 7, 1992, just before sunset, and soared into darkness. The crew’s first two attempts to complete the mission failed. Exhausted and frustrated, some crew members rested while Chilton and another astronaut analyzed the problem on the flight deck. The first step to problem solving is getting everyone on your team to agree what the problem is, Chilton said. Fuel was running low and it was their last shot, Chilton said. When the crew attempted to launch, however, their technique didn’t work, Chilton said. Chilton returned to the Air Force following his days at NASA before retiring in 2011. Chilton is one of 39 astronauts that have graduated from the U.S. Air Force Academy since April 1, 1954.